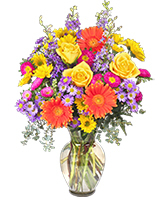 Charismatic Crimson Floral Arrangement in Wetumpka, AL - A Burst of Sonshine - Floral & Gift LLC. 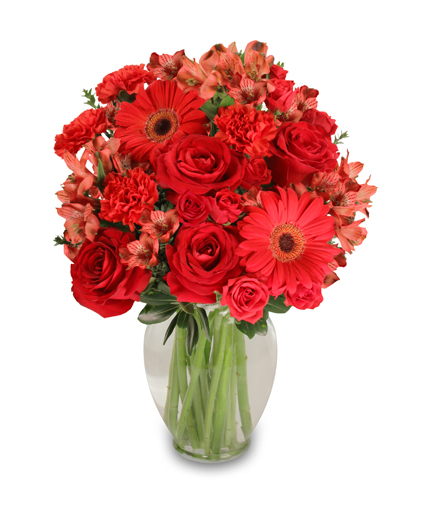 Brighten the Day with a Radiant Pop of Color and Send this Charisma Crimson bouquet from A Burst of Sonshine - Floral & Gift LLC.. This showy bouquet of radiant red flowers is a beautiful way to extend your heart and add warmth to the room. Feel free to call us or order flowers online 24/7.